What if my roots are laying on the nerve? 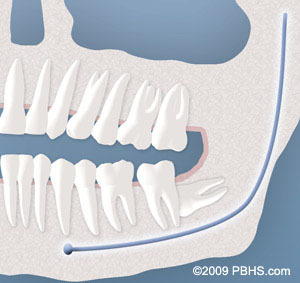 A coronectomy is an alternative to wisdom teeth removal when the roots surround the nerve. This is a technique sensitive procedure that calls for removing the “crown” only and leaving the roots in your jaw. 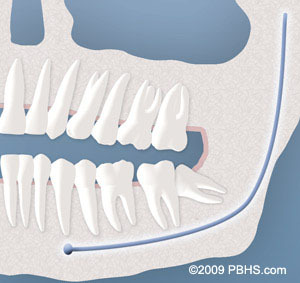 This is to prevent numbness of the jaw and lips. We use our Cone Beam CT x-ray to precisely visualize the roots position in relation to the nerve. it can get infected and requires removal (1 – 9.5%). At this point, the roots should have migrated away from the nerve and removal is less risky.